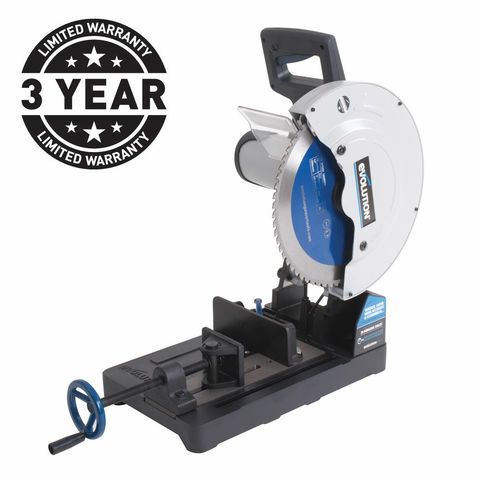 Compact, portable - quicker and easier to use than a hacksaw and far more portable than a full sized cut-off saw. Versatile too; the Rage 4 is equally at home cutting wood, steel or aluminim. And no need for either a 'workmate' or a vice - the Rage 4 has it's own material vice too. This product comes with a fantastic three year warranty. Register your product warranty here.